that You Help us through sorrow into complete Joy and Peace with You, that You Help us through our Spiritual And natural weaknesses into Spiritual & natural Power that Belongs to YOU! My Lord, Thank You for Feeding our Hunger and providing us with Your Drink as we are thirsty for More of YOU Lord! Thank You for Correcting us where we are wrong in our thinking, in our heart, in our actions and words. Thank You for Supplying Your Clarity, Truth & More of Your Love into & on us. I pray that our Love for You is Increased, Growing and Maturing so that we Are continuously being Changed into Your Love. 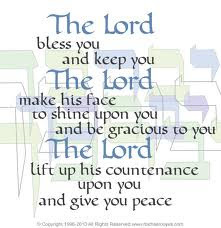 Thank you My Lord, for asking our Father to supply us with Another Comforter to Dwell within us, thank you In the Name of Jesus God for Your Purposes, Way, Plans and Will--may those whose doors You knock at, OPEN their hearts to allow you to enter. In the Name of Jesus we Shall continue to Expect You, We Shall Continue to Praise You as I Know You Have Already provided Every Answer and Supply that we are in need of from You! Amen! "But the Comforter (Counselor, Helper, Intercessor, Advocate, Strengthener, Standby), the Holy Spirit, Whom the Father will send in My name [in My place, to represent Me and act on My behalf], He will teach you all things. And He will cause you to recall (will remind you of, bring to your remembrance) everything I have told you." It's Not about Religion, but About Having a Growing, Loving, Maturing Relationship with our Lord. Simplify your faith by seeking God for yourself. No confusing man-made ceremonies necessary. No mysterious man-made rituals required. No elaborate man-made channels of command or levels of access. You have a mouth, OPEN it and call out to Him-ask for His Spirit to dwell within you. If this is already so in your Spiritual life, Then Open you Mouth and Ask His Holy Spirit to pour into you Everything that You need to be prepared to Serve Him for each day. Decide what kind of Vessel will you be. A vessel that belongs to and serves our Lord, Or, a vessel that belongs to and serves satan? There are two types of vessels you know. You have a heart, You Can pray for yourself and others IJN, Asking for More of His Love, to teach you, help you , to serve Him to Live, Walk and Serve His Will, Plans, Purposes, all guided by His Divine Order and Timing. Christ seeks our Love and He seeks to Give us His Love! This relationship with Him, is not about us just asking and getting and getting and getting...It is About mutual giving and serving, and helping. We Work With Him, together to Serve the Will of God. No matter who you are, where you are -- He seeks to Love and include everyone that our Father God has given to Him. "Take good counsel and accept correction—that's the way to live wisely and well. We humans keep brainstorming options and plans, but God's purpose prevails."